I love to ride in these Tricycles! They are bumpier and no air-con like the taxis (which I take for longer trips).. but still a lot of fun (to me). 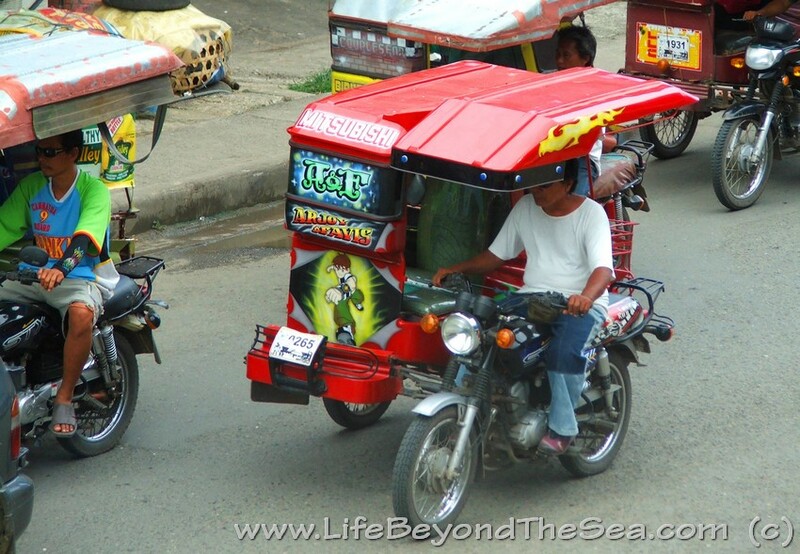 Just like the Jeepneys many are nicely painted with custom logos or artwork.